The ports of Manila are full of empty containers and overstaying cargoes that there is no space for incoming imports. The result is congestion and heavy traffic in and out of the ports. With the Christmas season fast approaching, containerships would be unloading more imported goods at the ports as demand for consumer goods peak during the holidays. The Philippine Ports Authority (PPA) is doing its best to decongest the ports of empty containers and started shipping out overstaying Customs-cleared cargoes of multinational firms to decongest the ports of Manila. And the city government of Manila has lifted its truck ban that would allow container trucks to ply the routes in and out of the ports. The PPA and ports operators are desperate the clear the port area of empty containers and overstaying ready-to-go containers to have ample yard space as held-up containers from foreign ports start to flood the two Manila ports. The port have operators already identified the boxes that will be initially moved out of the two ports and the cargo owners and will start positioning the boxes for loading. “Initially, these cargoes will be relocated using the S3 service of a subsidiary of International Container Terminal Services, Inc. (ICTSI) that will ferry the containers to Subic,” PPA general manager Juan Sta. Ana explained. “We will continue with this initiative until we have met the desired number of containers inside the two Manila ports, which is equivalent to a 60% yard utilization,” Sta. Ana stressed. Based on the PPA inventory, there is a significant number of customs-cleared and customs-cleared with gate pass cargoes stacked up at the Manila ports while a modest number of pre-cleared containers are waiting at the Manila anchorage and currently in transit. Customs-cleared containers are boxes that already paid the proper duties and taxes to the Bureau of Customs (BOC) but have yet to pay the cargo-handling fees. Customs-cleared cargoes with gate pass are boxes that already paid both the duties and taxes and the cargo-handling fees but remain stored at the ports for one reason or another. The Philippines’ competitiveness ranking rose to 52nd, the most improved country overall since 2010, according to the Global Competitiveness Report 2014-2015 of the World Economic Forum (WEF). The report noted that in Asia, the competitiveness landscape remains starkly contrasted with remarkable competitiveness dynamics in South-East Asia. Behind Singapore (2nd), are Malaysia (20th), Thailand (31st), Indonesia (34th), the Philippines (52nd) and Vietnam (68th) – all progress in the rankings. By comparison, South Asian nations lag behind, with only India featuring in the top half of the rankings, the report said. The report warned that the health of the global economy is at risk, despite years of bold monetary policy, as countries struggle to implement structural reforms necessary to help economies grow. In its annual assessment of the factors driving countries’ productivity and prosperity, the report identified uneven implementation of structural reforms across different regions and levels of development as the biggest challenge to sustaining global growth. The report also highlights talent and innovation as two areas where leaders in the public and private sectors need to collaborate more effectively in order to achieve sustainable and inclusive economic development. According to the report’s Global Competitiveness Index (GCI), the United States improves its competitiveness position for the second consecutive year, climbing two places to third on the back of gains to its institutional framework and innovation scores. Elsewhere in the top five, Switzerland tops the ranking for the sixth consecutive year, Singapore remains second and Finland (4th) and Germany (5th) both drop one place, followed by Japan (6th), which climbs three places and Hong Kong SAR (7th). Europe’s open, service-based economies follow, with the Netherlands (8th) also stable and the United Kingdom (9th) going up one place. Sweden (10th) rounds up the top-10 of the most competitive economies in the world. The leading economies in the index all possess a track record in developing, accessing and utilising available talent, as well as in making investments that boost innovation. These smart and targeted investments have been possible thanks to a coordinated approach based on strong collaboration between the public and private sectors. In Europe, several countries that were severely hit by the economic crisis, such as Spain (35th), Portugal (36th) and Greece (81st), have made significant strides to improve the functioning of their markets and the allocation of productive resources. At the same time, some countries that continue to face major competitiveness challenges, such as France (23rd) and Italy (49th), appear not to have fully engaged in this process. While the divide between a highly competitive North and a lagging South and East persists, a new outlook on the European competitiveness divide between countries implementing reforms and those that are not can now also be observed. Some of the world’s largest emerging market economies continue to face difficulties in improving competitiveness. Saudi Arabia (24th), Turkey (45th), South Africa (56th), Brazil (57th), Mexico (61st), India (71st) and Nigeria (127th) all fall in the rankings. China (28th), on the contrary, goes up one position and remains the highest ranked BRICS economy. To boost its economic resilience and keep the economic momentum of past years, Latin America finds its major economies still in need of implementing reforms and engaging in productive investments to improve infrastructure, skills and innovation. Chile (33rd) continues to lead the regional rankings ahead of Panama (48th) and Costa Rica (51st). Affected by geopolitical instability, the Middle East and North Africa depicts a mixed picture. The United Arab Emirates (12th) takes the lead and moves up seven places, ahead of Qatar (16th). Their strong performances contrast starkly with countries in North Africa, where the highest placed country is Morocco (72nd). Ensuring structural reforms, improving the business environment, and strengthening the innovative capacity so as to enable the private sector to grow and create jobs are of key importance to the region. Sub-Saharan Africa continues to register impressive growth rates close to 5%. Maintaining the momentum will require the region to move towards more productive activities and address the persistent competitiveness challenges. Only three sub-Saharan economies, including Mauritius (39th), South Africa (56th) and Rwanda (62nd) score in the top half of the rankings. Overall, the biggest challenges facing the region is in addressing human and physical infrastructure issues that continue to hamper capacity and affect its ability to enter higher value added markets. Sydney Airport has welcomed Cebu Pacific Air, the newest airline which started a four-weekly service between Sydney and Manila. Sydney is becoming an increasingly popular destination for Filipino travellers with visitor numbers up 16% over the recent 12-month period. This new service will see Filipino visitors grow further and will contribute an estimated $66 million a year to the NSW economy. “Cebu Pacific Air is our fourth international low cost carrier and the Philippines’ largest airline, offering connections from 24 cities in 13 countries in Asia and the Middle East, providing passengers more choice when travelling to Australia,” said Sydney Airport chief Kerrie Mather in a statement. The Philippines population reached 100 million in July this year and many of those people have friends and family living here in Sydney which is home to Australia’s largest Filipino community. “This new service provides more choice and value for tourists and friends and family wishing to travel to Australia. The service is also good news for foreign students, with Filipino students making up the eighth largest contingent of international enrolments in vocational education in NSW,” said Mather. “This is also a great outcome for Australians. 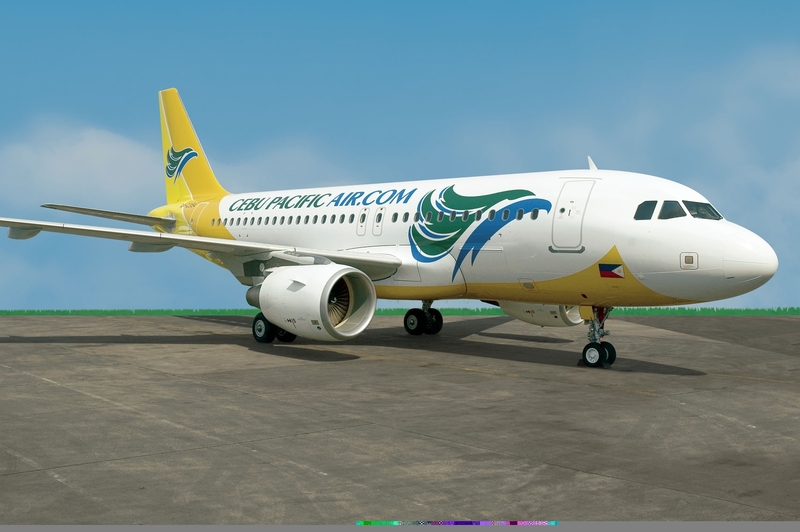 Low cost carriers like Cebu Pacific Air are providing travellers with more destination choice and great value, and they are driving strong demand to travel,” Mather said. Cebu Pacific Air – which will fly a brand new 436-seater A330-300 on the route – will increase to five services a week on 10 December this year ahead of the peak holiday season, amounting to an annual capacity of 226,800 seats on this route.